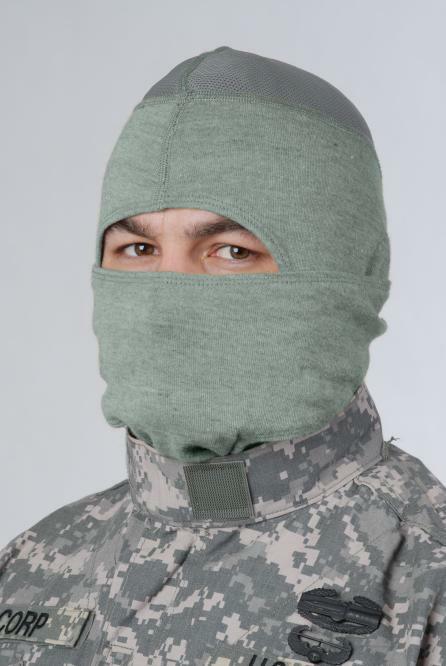 It is a one-size-fits-all item featuring a ventilated mesh top to minimize heat stress beneath the Advanced Combat Helmet. It is anti-microbial, anti-odor, and moisture wicking. It weighs approximately 3 ounces, fits easily in a Modular Lightweight Load-carrying Equipment (MOLLE) grenade pouch or uniform pocket. It was first fielded in 2009, replaces the Combat Vehicle Crewman Hood and Anti-Flash Hood, is being issued at a rate of two per Soldier.